Warren Kennedy launched his new 14' Amesbury Skiff made by Lowell's Boat Shop in Amesbury Mass. He wanted the boat over built, and says it handles great in both salt and fresh water. He uses a 15 hp four-stroke Yamaha for propulsion. 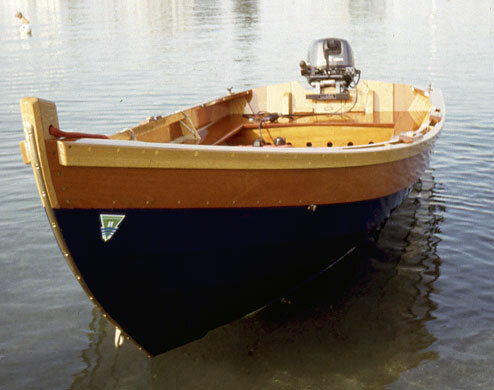 NATALIA, named for the owner's daughter-in-law, has cedar planking on oak frames and stem, with mahogany trim. He plans to use the boat in Kennebunk, Maine in the summer, and Holden Beach, NC in the winter.